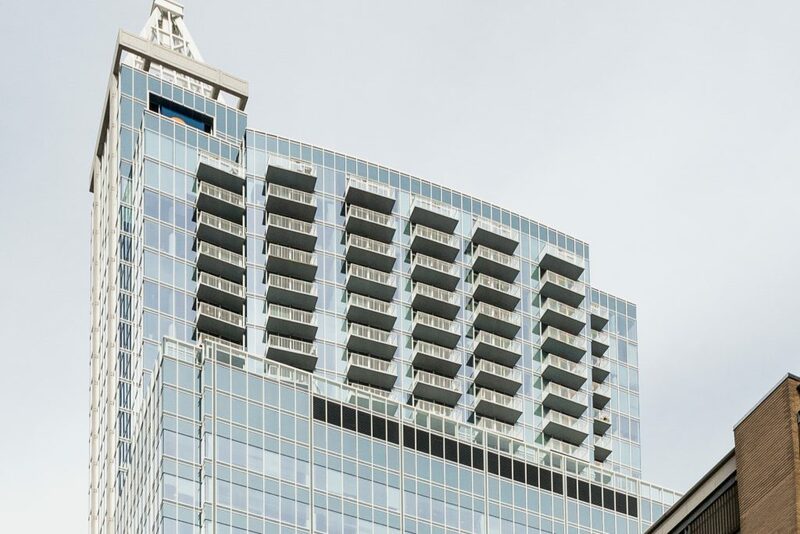 The PNC Plaza condominiums are located in the 33-story mixed-use PNC Plaza, which includes 12 floors of office space, and 11 floors of residential units. Each unit has its own private balcony, assigned parking spot, clubroom/state-of-the-art fitness center, rooftop swimming pool and 24-hour attendant. PNC Plaza is one of Raleigh’s most desirable luxury condo developments. If you are interested in purchasing a unit in PNC Plaza, ask us about our services for locating properties not yet on the market. We will leave no stone unturned looking for the perfect property for you. If you are considering selling your property in PNC Plaza, we can help you find a buyer – likely before we list it!